Reading heavy amounts of information and data can be boring and hard to digest. An infographic is an attractive, excellent tool for communicating complex ideas. 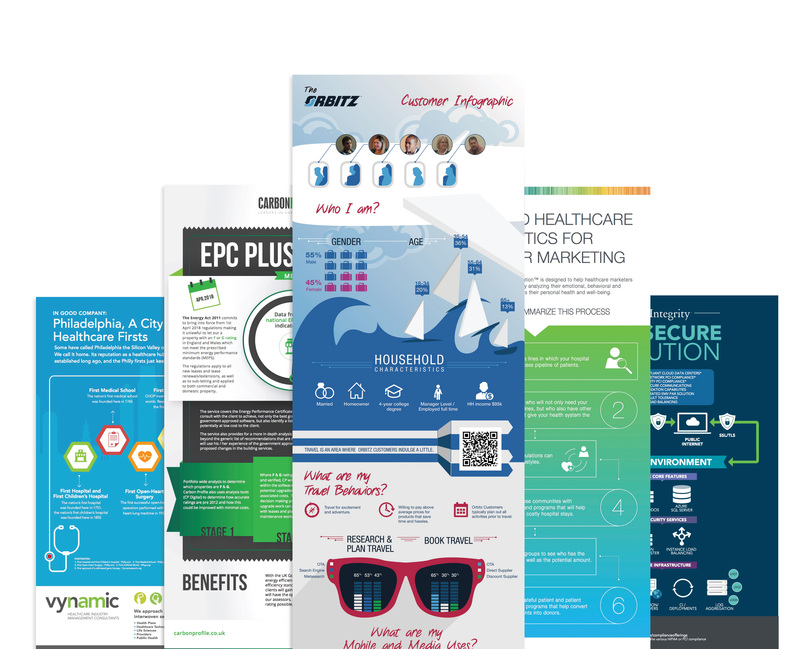 We understand that an infographic can be a tedious and extensive project to create. Submit your content and allow our creative professionals to create a stunning data visualization in a fraction of the time it would take to create on your own.